The very first of my Mortifactors Vanguard Veterans has rolled off the production line and I’m really happy with him. It’s a lot of old techniques that we’re all familiar with from my previous posts, but as I’ve mentioned previously, this is one of my favourite kits so I wanted to show off my early efforts. 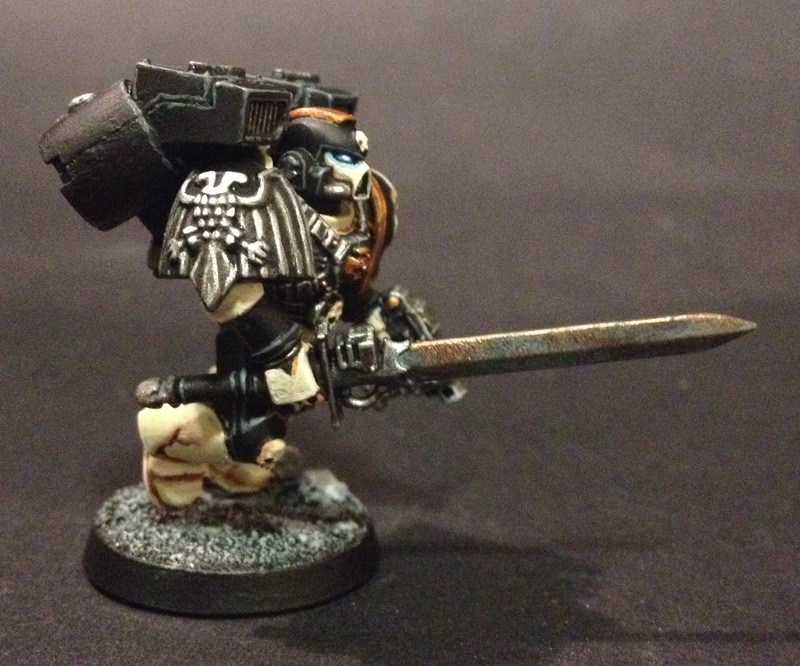 One thing that I don’t like in the recent kits that have been released for the Space Marines in the last wave are the power swords. 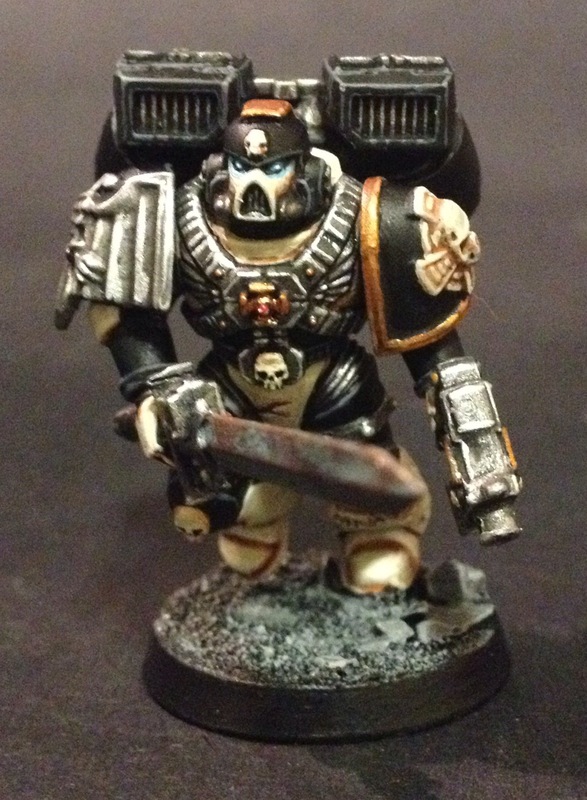 There’s one in the Vanguard Vets set that I like, out of two and I’m saving that, so for this mini, I used a Grey Knights sword. 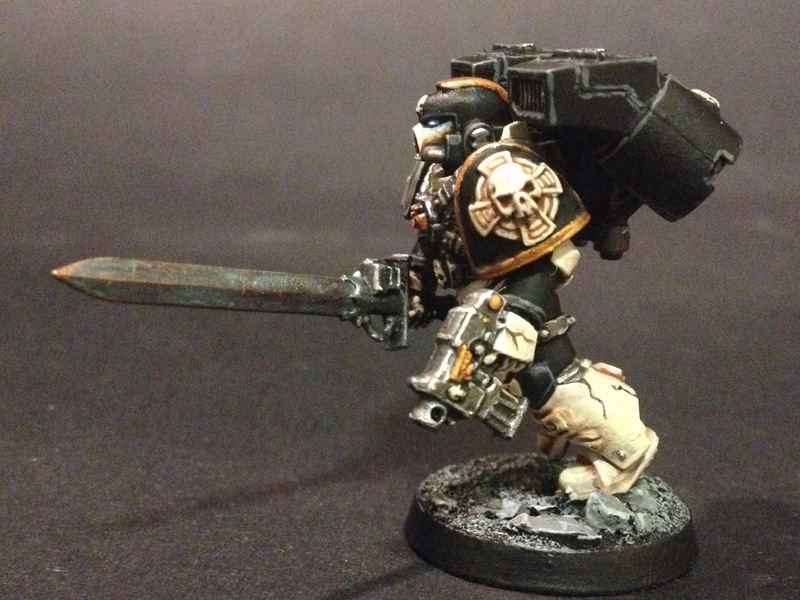 Happily, I’ve got quite a few left over as Grey Knights have a lot more fun weapons. 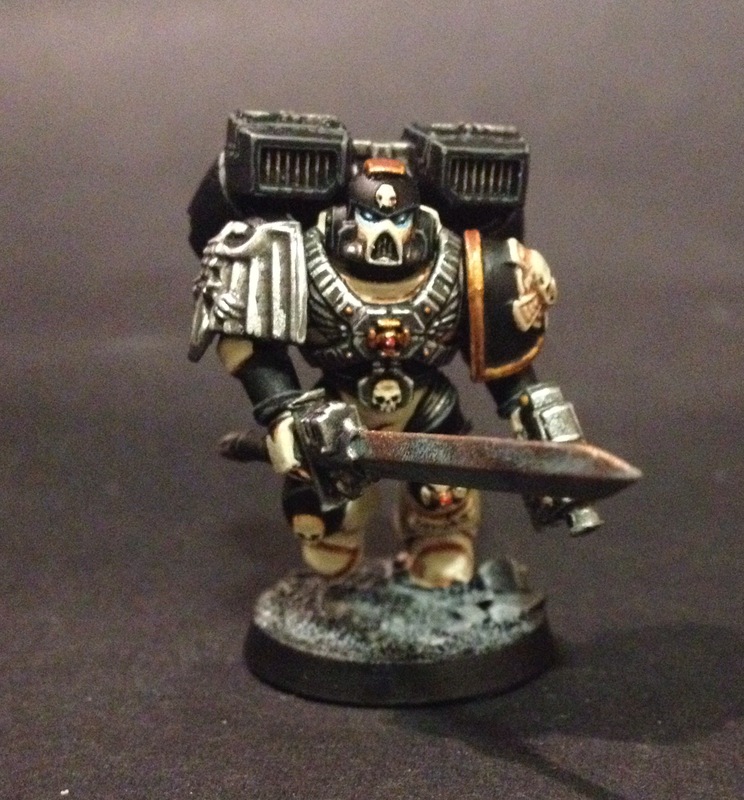 The model was undercoated black, painted using Citadel Paints and a Windsor & Newton Series 7 Finest Sable 000 brush. Watch this space for the rest of the squad to appear in the coming weeks! Comments, questions or anything else – add them below! 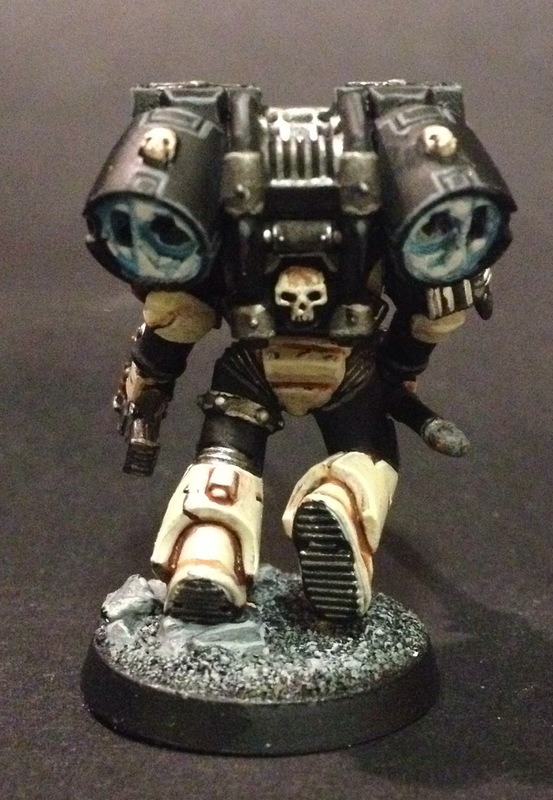 ← The Sound And The Fury – The CSM Updates We Need! Looking dark and moody . Good job.